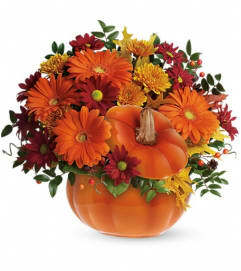 Enjoy the serenity of the season with a fresh fall centerpiece that is as beautiful as it is soothing. 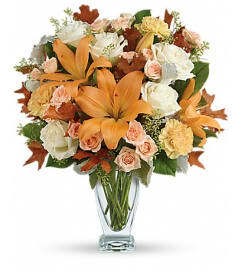 This lush arrangement enchants in shades of peach, orange and green - combining roses, lilies and even two succulent plants! 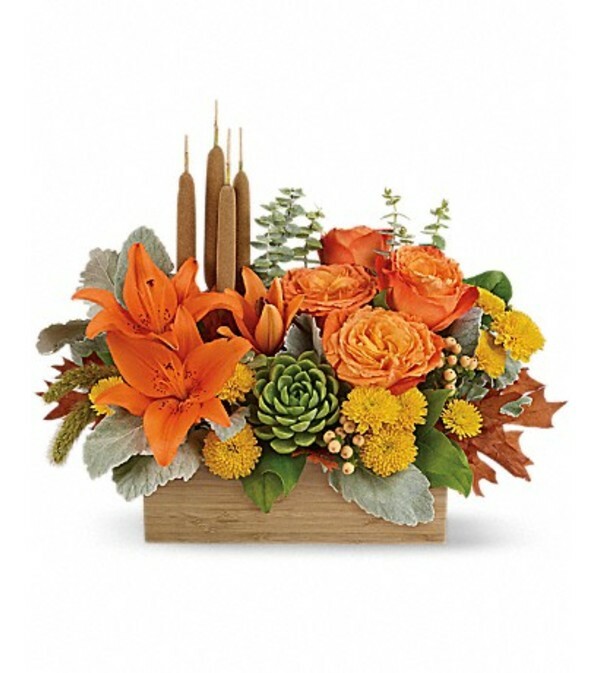 Hand-delivered in a natural-toned bamboo rectangle.